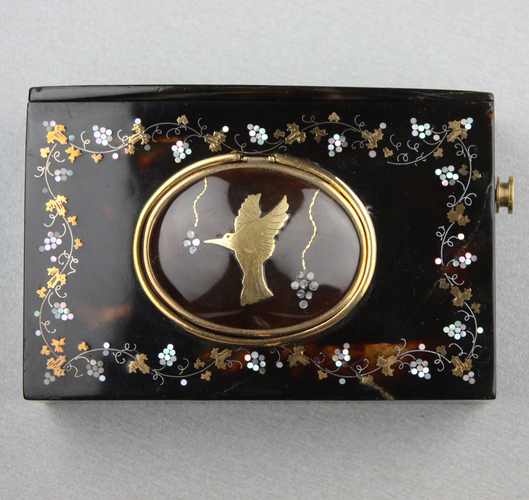 When wound and start/stop pull actuated, the striking bird pops up through solid engraved gilt grille with semi-lune piercing, moving bone beak, wings and body from side-to-side to continuous synchronised birdsong. 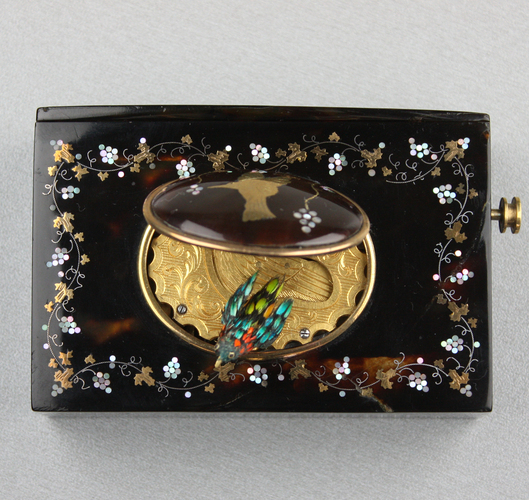 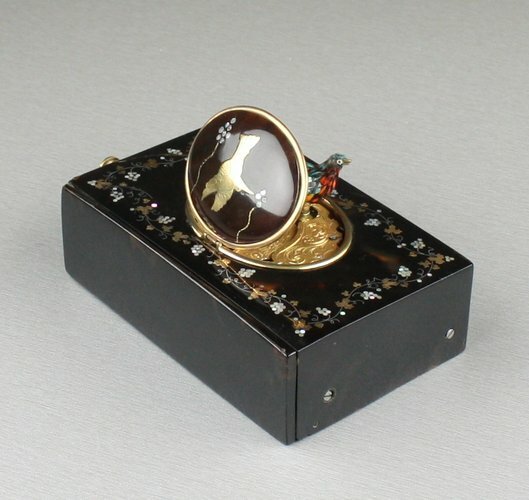 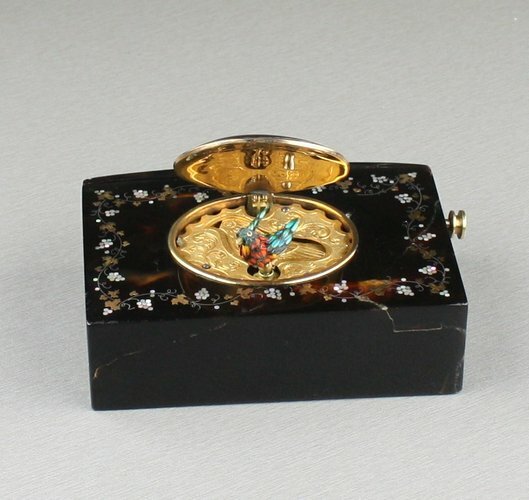 The bird with streaked feathered plumage with red and green flashes on dark brown ground, in tortoiseshell case with the domed bird lid bearing inlaid leaf in tri-coloured metal, the main lid with swag trail surround in polished mother-of-pearl, polished pewter and braised brass, hidden key compartment to rear, unusual positioning of the start/stop pull rear-right. 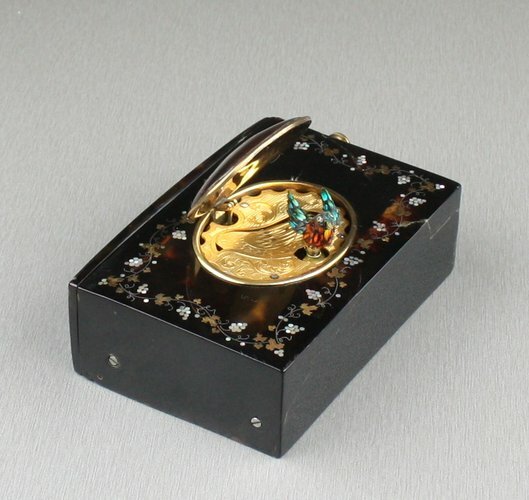 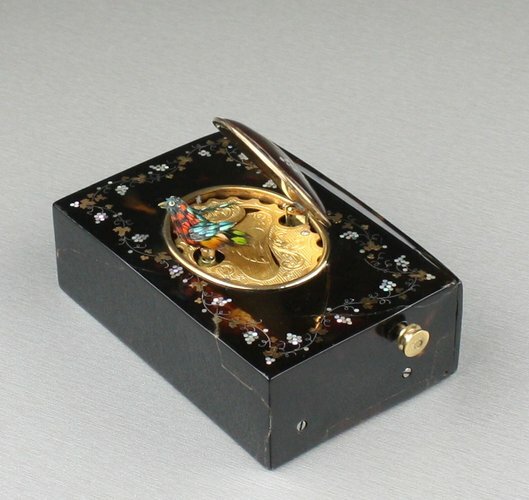 This is most likely a transistional period box, made when the last of the fusee movements were well on their way out, but workshops still had plenty of parts to bridge both this and the new going-barrel technology. 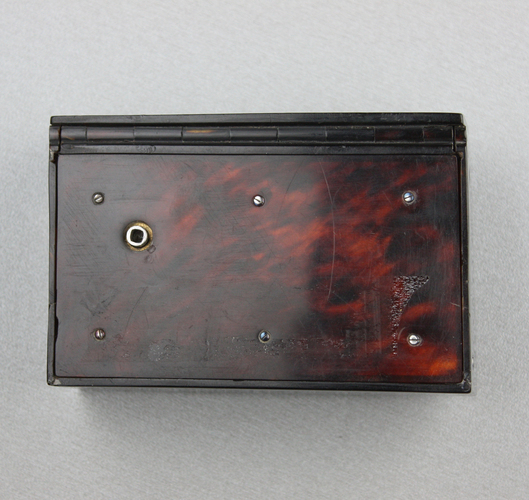 No waste was made on these types of boxes, making the governor position rear-side an unusual place to house it. 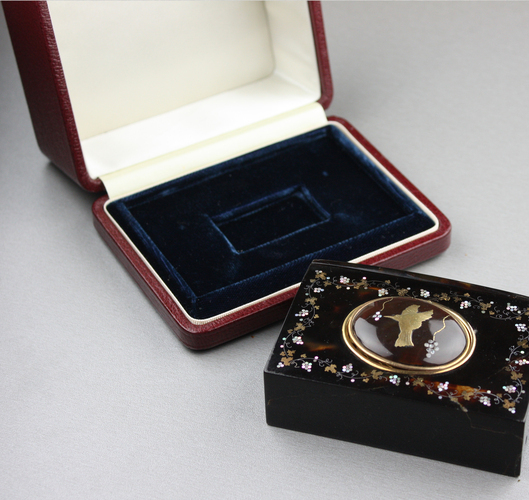 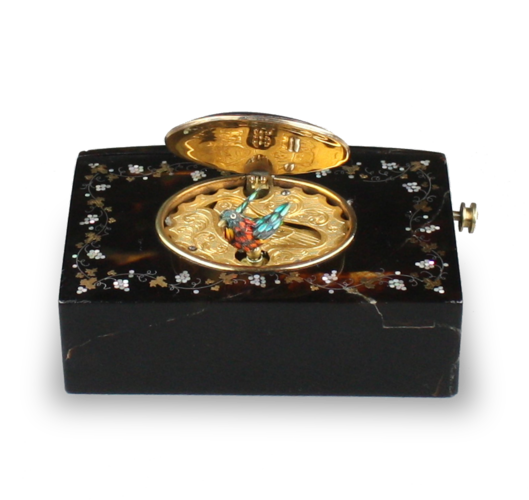 Despite a maker not making themselves known to us, these transistional boxes are still very rare and do not appear often.